John Elway says Keenum is ‘short-term fix’ at QB: Who are long-term options? Good news, bad news on Case Keenum at quarterback, Broncos fans. Keenum is locked up and will be the starter behind center in 2019 — he’d count at $10 million in dead cap if they cut him — but, that may be the last of him as Denver’s gun-slinger. John Elway admitted to Peter King last week that Keenum is merely a “short-term fix” at quarterback, explaining he’ll need to find a longer-term option soon. 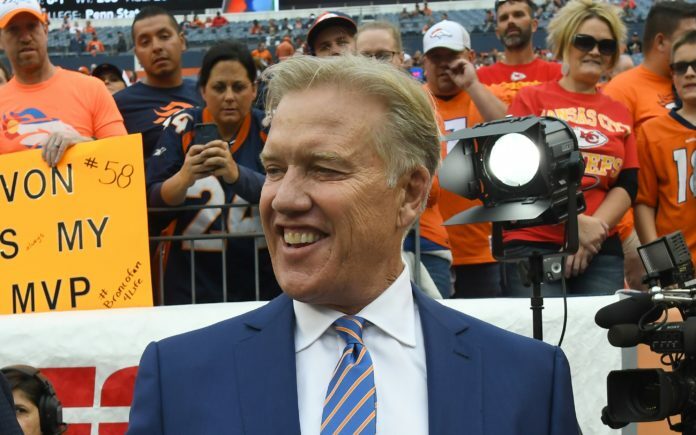 Elway’s comments on Keenum being a “bridge-the-gap” quarterback are telling; there’s little chance the Broncos re-sign Keenum after this year. 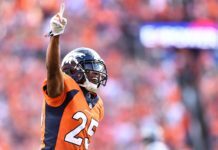 What does that mean for the future of the Broncos’ quarterbacking position? Simply, they’ve got to go attack the problem immediately, either in the NFL draft, in free agency, or even in a trade. One option for the Broncos could be Nick Foles, whose Philadelphia Eagles were just eliminated from the playoffs yesterday by the New Orleans Saints. Foles — at 29 — was a journeyman quarterback who stepped in professionally and admirably to lead the Eagles to their first-ever Super Bowl win last year. This year, he did it again when Carson Wentz went down yet again with an injury, going 4-1 in the regular season and 1-1 in the playoffs. In fact, Foles not only stepped in late, he had to begin the season for the Eagles while Wentz was on the mend, proving that professionalism as Foles knew he wasn’t going to be the starter the second Wentz was healthy enough to play. Wentz will likely become a free agent as he and the Eagles have a mutual option on the table, in which the team must first move on a $20 million salary for 2019. That seems incredibly unlikely given that they still want Wentz as their long-term starter. If Elway and Co. don’t want to try and sign Foles, there are other options out there. Specifically, Teddy Bridgewater — the best QB name in the NFL — who could be signed for closer to $3 million, which would be a reasonable price for a backup quarterback. Or, there’s Tyrod Taylor, Geno Smith and even Brock Osweiler out there. In the draft, at No. 10 overall, Elway and Co. may decide they want to pull the trigger on a quarterback. That could possibly be Drew Lock out of Missouri, which is gaining steam over the last few weeks. 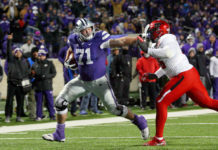 Lock’s a tall and athletic prospect, at 6’4″ and 225 pounds, and his development as a more efficient passer in terms of completion percentage is enticing. So were his numbers as a junior — 3,964 yards, 44 touchdowns and 13 interceptions — as well as last year’s less eye-popping (3,498, 28, 8) but more accurate (career-high 62.4 percent) season. Simply, there’s no doubt about it; Elway is going to go after at least one, if not multiple, quarterbacks this offseason. And another interesting point in that quote from Peter King; the Broncos need consistency from a play-calling perspective. 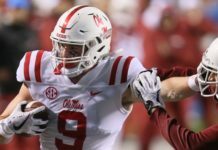 That means, they’re looking for someone on the offensive side of the ball who’s not going to jump ship in one or two years. We looked at five potential options for the Broncos at offensive coordinator on Friday, and while Rich Scangarello was blocked initially by the 49ers from interviewing in Denver, that’s been lifted per our own Les Shapiro. Scangarello doesn’t have NFL experience as an offensive coordinator, but he’s the quarterbacks’ coach in San Francisco currently, experience which would seemingly be of chief importance in Denver as they look to develop a quarterback of the future soon.